Enjoying all of the beautiful & creative entries that are coming in for our "Inspired by feedfeed" Contest! What a pie! 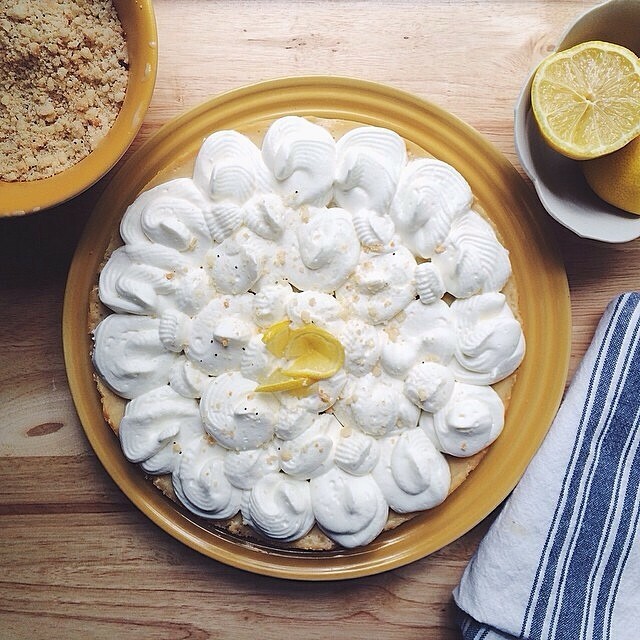 This entry came in from @dalewonju "Lemon Meringue (without the meringue part) Pie. Inspired by a post made by @thecookerywife on @thefeedfeed a while back. The crust is leftover lemon shortbread cookies processed and toasted with melted butter. The filling is condensed milk, fresh lemon juice, zest and egg yolk (the South African way) and then baked until set. Instead of egg whites on top I've used fresh cream from our friends the dairy farmers. My husband does not like meringue. Overall a great success."